Remakes and sequels? Pshht. They’re old news in Hollywood. Today, it’s all about the requel, remake-sequel hybrids that borrow once-dormant franchises’ greatest hits and infuse them with enough fresh DNA so they seem shiny and new. 2018 unleashed a few requels of its own. The most obvious: “Halloween,” in which Michael Myers escaped institutionalization and returned to his suburban playground to hunt down Laurie Strode (Jamie Lee Curtis), who this time was armed in anticipation. “Ocean’s 8″ technically fits the mold, too, given its familial connection to the early-2000s “Ocean’s” trilogy. And so does “Mamma Mia! Here We Go Again,” which somehow delves even deeper into the backstories of the three men who could be the protagonist’s father. Thankfully, this requel includes enough sugar to help the medicine go down in a most delightful way indeed. “Mary Poppins” (directed by Robert Stevenson) and “Mary Poppins Returns” (directed by Rob Marshall, no stranger to movie musicals after helming “Chicago” and “Into the Woods”) share a thesis: Adults too often let their fussy grown-up problems cloud their spirits; if only they could remember what it was like to be a child, when insouciance and ingenuity ran free. 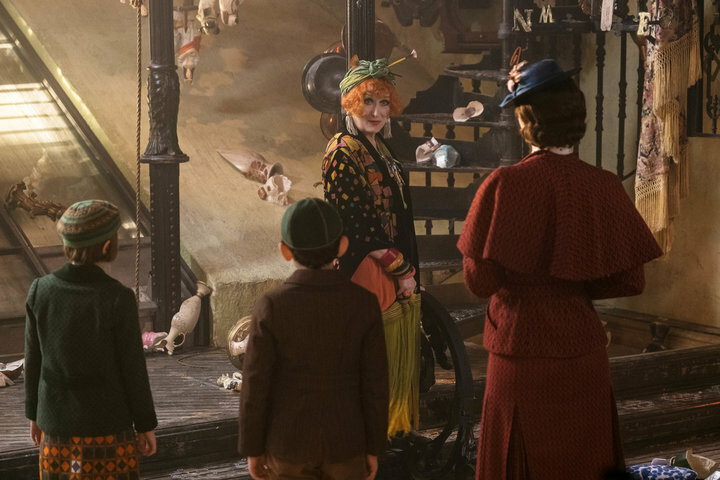 It’s hardly an original message ― take, for example, August’s “Christopher Robin” ― but “Mary Poppins Returns” puts it to decent use, having the enchanted nanny return to a Banks family that has forgotten everything she taught them. Twenty-four years have passed, positioning this film in the Great Depression. Jane and Michael, tots when we saw them ask for a caregiver who would “play games, all sorts,” have aged into the busy worrywarts their parents once were. Recently widowed, Michael (the ever-soulful Ben Whishaw) still lives in the same elegant home on Cherry Tree Lane, where he is raising three precocious offspring with the help of his kooky childhood housekeeper Ellen (Julie Walters). Things further sour for Michael and Jane (Emily Mortimer), a labor organizer on hand to assist with motherly duties, when lawyers arrive to announce the bank will soon repossess the house. Michael is left scrambling to find a loan certificate his late father had left him, and the kids are left hoping their lives aren’t about to be uprooted. That’s as good an excuse as any for dear old Mary Poppins to descend from the cloudy gray heavens, a kite fueling her entrance. The adult Bankses seem surprisingly nonchalant about reuniting with the woman they once begged not to leave them, but I guess that’s the point. No time for funny business when you’re more than 5 feet tall. And, anyway, it’s the younger Bankses she’s there’s to chaperone, sometimes with aid from an earnest lamplighter (Lin-Manuel Miranda) who once worked for Mary’s pal Bert (Van Dyke, who cameos in a different role that doesn’t require Bert’s infamous Cockney cadence). Not much has changed about Mary, except, of course, that she is now portrayed by Emily Blunt, who channels the pleasant but unsentimental affect Julie Andrews brought to the role without relying on mere imitation. Simply put, Blunt is wonderful. She funnels Mary’s wry humor through scene-stealing eye rolls and hand tosses, achieving a blissful blend of mightier-than-thou tenacity and boundless empathy. Here, Mary seems forever slightly perturbed, rendering her dulcet life lessons a bit less saccharine. This goes on and on … and on and on … and on and on … until a joyful resolution pays fine homage to the original’s closing number, “Let’s Go Fly a Kite.” The film is long and the musical numbers sadly forgettable. The composers, Marc Shaiman and Scott Wittman, who co-wrote “Hairspray,” borrow chords from the Sherman brothers’ “Supercalifragilisticexpialidocious” and other fixtures, but if you asked me to hum any of the new tunes, I’d come up short. 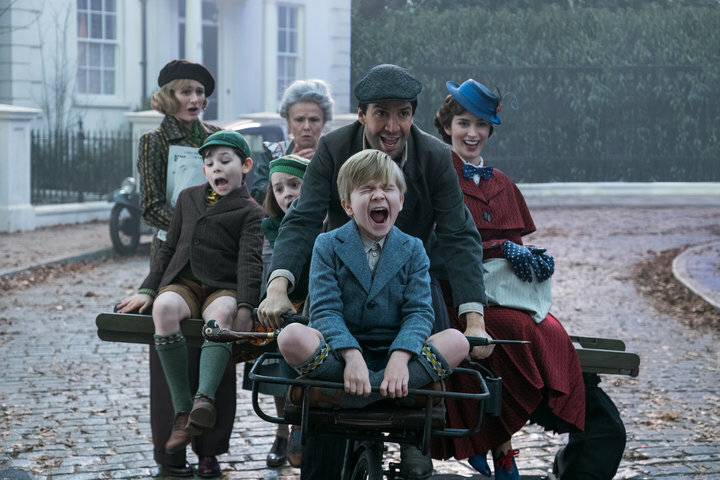 Still, there are ample comforts to sustain “Mary Poppins Returns,” and enough of a political backdrop to elucidate the world it inhabits. Marshall, whose output has been spotty post-“Chicago,” paints with a brush so warm and affectionate that it’s hard not to enjoy what’s unfolding. The aesthetics shimmer and glisten, even during night sequences, like when Miranda leads a foggy jitter alongside his fellow lamplighters. In “Nine” and “Into the Woods,” Marshall seemed to be searching for a musical as edgy as “Chicago,” but it turns out what he really needed was something ebullient. Even if the script (by “Life of Pi” and “Finding Neverland” scribe David Magee) overextends its themes, Marshall finds integrity in the movie’s construction, favoring long takes, symbiotic color schemes and soft odes to “Singin’ in the Rain” and “Les Misérables.” Sandy Powell’s costume design, full of reds and plaids and post-Edwardian vibrancy, meshes brilliantly with the chipper hues. The movie isn’t practically perfect in every way, but it is a decent addition to the requel canon, letting Marshall join J.J. Abrams (“The Force Awakens”), Ryan Coogler (“Creed”) and David Gordon Green (“Halloween”) in its upper echelons. Even the most dastardly villain (Colin Firth) is handed the same thesis: “You’ve forgotten what it’s like to be a child,” he’s told by a lady who distributes magical balloons (Angela Lansbury). She’d fit right in with franchise culture, which wants us to remember our nascent selves at $12 a ticket, time and again. Here, there’s enough razzle-dazzle to achieve that goal. You might dance on the breeze after all. 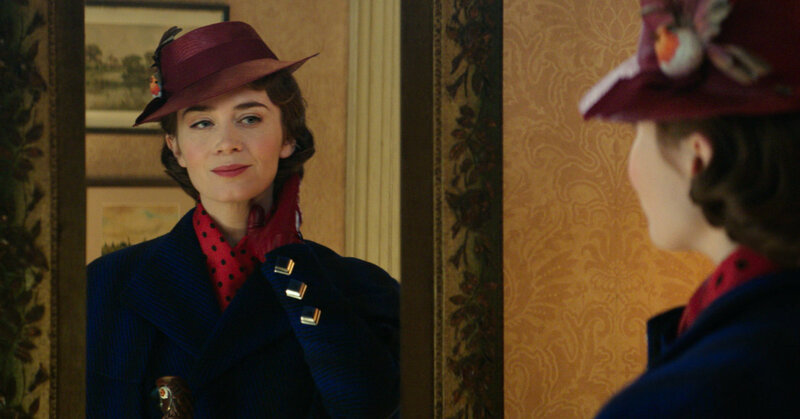 “Mary Poppins Returns” opens in wide release Dec. 19. CORRECTION: A previous version of this story mischaracterized the scene in which Mary Poppins enters in “Mary Poppins Returns”; she appears with a kite, not an umbrella. When I was a child, I. (Photo by St. Louis County Police. PARK CITY, Utah ― The premiere. Miguel attends the 2018 iHeartRadio Music. When news of Adam McKay’s latest.